Researchers are discovering that post-traumatic stress disorder (PTSD) is a significant risk factor in developing dementia. Dementia is a memory problem that affects a person’s ability to carry out usual tasks. Dementia is a leading cause of serious illness, disability, and death. It often requires care in a nursing home or other long-term care facility for people aged 65 and older. Until now, researchers didn’t know whether the kinds of medications used for people with PTSD could increase risks for dementia. (These medications include including antidepressants, antipsychotics, sedatives, or tranquilizers.) 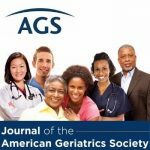 A new study, published in the Journal of the American Geriatrics Society, examined this connection. In their study, researchers examined information from 3,139,780 veterans aged 56 and older. At the beginning of the study, in 2003, the veterans were receiving health care from a Veterans Health Administration facility. Almost all the veterans were male and 82% were white. Of the veterans in the study, 5.4% had been diagnosed with PTSD. As the researchers looked at the data over the study’s nine-year follow-up period, they also included veterans who were diagnosed with dementia. Research has previously shown that veterans with PTSD are more likely to have health problems linked to a higher risk for dementia. These include traumatic brain injury, diabetes, chronic obstructive pulmonary disease (COPD), psychiatric disorders, substance abuse, and other health issues. In this study, researchers discovered that taking certain antidepressants, tranquilizers, sedatives, or antipsychotic medications significantly increased veterans’ risks for developing dementia compared to the risks for veterans who didn’t take such medications. The researchers noted that an interaction among these “psychoactive” drugs could potentially affect how PTSD impacts a person’s risk for developing dementia. The researchers concluded that further research should be conducted to learn more about PTSD and psychoactive drugs, including dosage, how long to take the medications, and which people could most benefit from them. This summary is from “PTSD, Psychotropic Medication Use, and the Risk of Dementia among U.S. Veterans: A Retrospective Cohort Study.” It appears online ahead of print in the February 2017 issue of the Journal of the American Geriatrics Society. The study authors are Francis Mawanda, MBChB, PHD; Robert B. Wallace, MS, MD; Kimberly McCoy, MS; and Thad E. Abrams, MS, MD. This entry was posted in Health in Aging, JAGS Research Summaries, Medications and tagged mental health, PTSD, research, veterans by HIA Guest Blog. Bookmark the permalink. This is a great blog explaining about PTSD. PTSD is a disorder that develops in some people who have experienced a shocking, scary, or dangerous event. It is natural to feel afraid during and after a traumatic situation and People who have PTSD may feel stressed or frightened even when they are not in danger. Now this is interesting. I knew there was a link between depression and dementia – but what if the link is ACTUALLY antidepressants and dementia? scary stuff.